Another reason is that the <iframe> within the <noscript> block is not valid HTML, which is a legitimate concern. The third reason, which isn’t really a reason but rather an offshoot of the original Google Tag Manager recommendation, is that Google’s Search Console verification requires that the container snippet be embedded in the beginning of <body>. 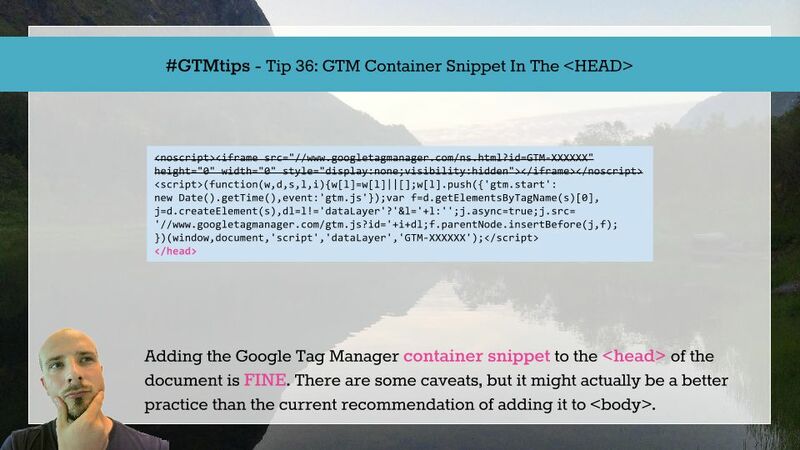 In this post, I’ll tackle these three “issues” and wrap up with a consolation note that yes, it’s perfectly fine to add Google Tag Manager to the <head> of the document, and it might even be preferable to do so. Now, the possible conflicts arising with Internet Explorer 7 and older are easy to dismiss. Just forget those users! Punish them for using an antiquated version of the web browser. Honestly, Internet Explorer 7 is being used by 0.1% of Internet users, and that ratio is only going to go down. Do not weep for the lazy. Make them suffer in the hopes of inspiring them to upgrade or, preferably, change to some other brand of web browser. Simple solution for dealing with the validation problem. Finally, the Search Console validation issue is a pain. There’s nothing you can do about that. If you choose to move the container snippet to the <head> of the document, you will need to use some other means of validating your site. Sometimes you don’t have an option. 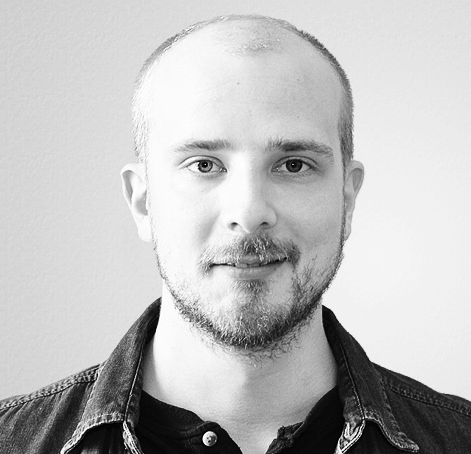 WordPress themes, for example, rarely have a hook for adding code to the beginning of <body>, and you’ll need to hack around that by modifying the child templates. In these cases, adding the library to the <head> can save a lot of time and effort. Also, remember that Google Tag Manager is an asynchronously loading library. This means that it’s loading as the page renders, and it’s non-blocking. Thus, the earlier you start loading the library, the more chance your Tags will have to fire and complete before the user leaves the page or closes the browser. This might result in a slight increase in data collection accuracy and quality. As soon as the Search Console validator relaxes a little, I see little reason why you shouldn’t always add the container snippet to the <head> of the page. In fact, if we ever get a synchronous version of the container (for running e.g. A/B tests), adding the snippet to the <head> becomes a necessity.